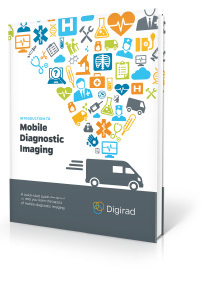 Most hospitals offer CT imaging services in-house, but there are times when bringing in a mobile imaging service on a provisional basis makes more sense. 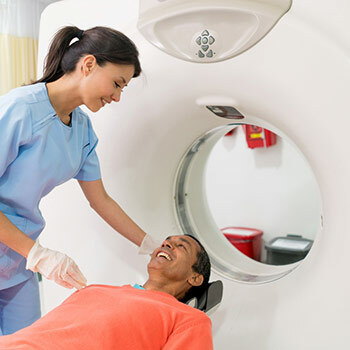 Whether you’re remodeling your CT imaging space, your equipment requires repairs, or you need help managing a backlog, provisional imaging can be a smart decision. Mobile providers should provide equipment that is currently and widely used in the market. While a 64-slice CT scanner might be preferable, a 16-slice camera is an excellent fit for most studies and provides image quality with high throughput. You’ll also want to ensure that the CT scanners are XR-29 compliant as non-compliance can adversely impact your reimbursement. To safeguard against downtime, a mobile provider should have an OEM Service Agreement. This ensures that factory-trained service engineers are performing preventative maintenance on a regular basis and that they’ll have access to OEM parts. The Joint Commission on Accreditation of Healthcare Organizations (JCAHO) is an independent group that administers voluntary accreditation programs for hospitals and other healthcare organizations. They develop performance standards that address elements of operation, such as patient care, medication safety, infection control and consumer rights. Your mobile provider should be JCAHO certified, which implies that they have a superior level of quality standards and processes in place. The mobile provider staff should be just as committed to protecting patient privacy and abiding by all healthcare regulations set forth by HIPAA as your hospital staff. Be sure they have an active and ongoing HIPAA training program in place. Many healthcare workers say hygiene is the most important tool in preventing the spread of healthcare-associated infections among patients. Be sure the mobile provider has strict policies and procedures around hygiene and they educate their staff on the critical importance of infection control. When you’re looking for a mobile provider, high quality and excellence come at a premium. If a hospital truly desires the patient experience to carry through to that mobile asset, they have to look to vendors that are committed to providing that same level of superior quality, patient-centric service.